In January 2001, Mary Linn, Vice President of Finance of shipping companies, shipping company, with offices in New York and Hong Kong, was evaluating a proposed lease of a ship for a period of three years From early 2003. The client was eager to finalize the contract to meet their own commitments and offered very attractive terms. No vessel of the current fleet of the shipping company has met customer requirements. 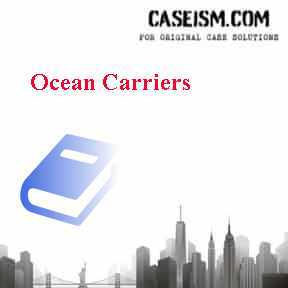 Mary Linn, therefore, was whether ocean carriers should immediately order a new capsize carrier to be completed in two years and can be rented to customers.